You’ve heard that Virginia is for lovers. But did you know that Virginia Beach is for millennials? With its close proximity to the ocean, which means swimming, sunbathing, surfing, fishing and playing sand volleyball, this coastal town is attracting millennials to visit here year after year for spring break, as well as being an affordable place for these young adults to live. So whether you’re planning your next vacation or big move, here are six attractions to get you to Virginia Beach. If you’re looking to enjoy the great outdoors without the coastline crowds, head to First Landing State Park—a park that got its name because it’s where the Jamestown colonists first landed in 1607. 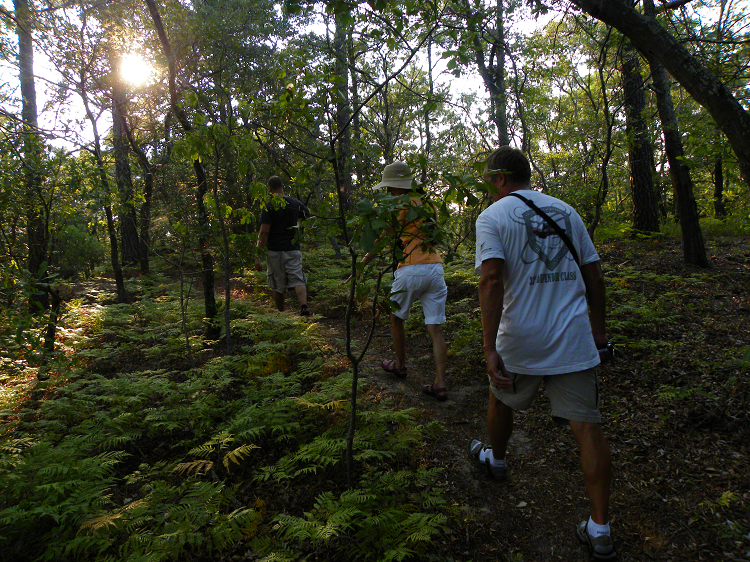 Today, you can easily spend a half or whole day swimming, fishing, biking or hiking, as it’s home to nine miles of trails covering more than 19 miles in this scenic area. For those who enjoy the beach and making friends with strangers, the Virginia Beach resort area screams your idea of a fun afternoon or night. On the three-mile oceanfront boardwalk, that’s made of concrete, you can walk, bike or roller blade and see a variety of local public art. 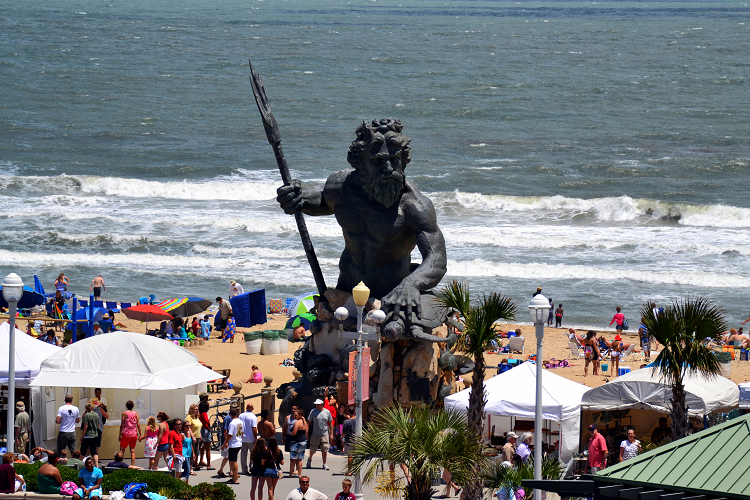 Make sure to snap a selfie with the King Neptune Statue. You can’t miss him—he stands at 34-feet tall and is surrounded by large bronze sea creatures. The area also boasts outdoor cafes, live music and festivals throughout the year, as well as some hot nightlife. Besides the mainstream water activity of swimming, explore the waters, beautiful scenery and local marine life of Virginia Beach via paddle boarding. 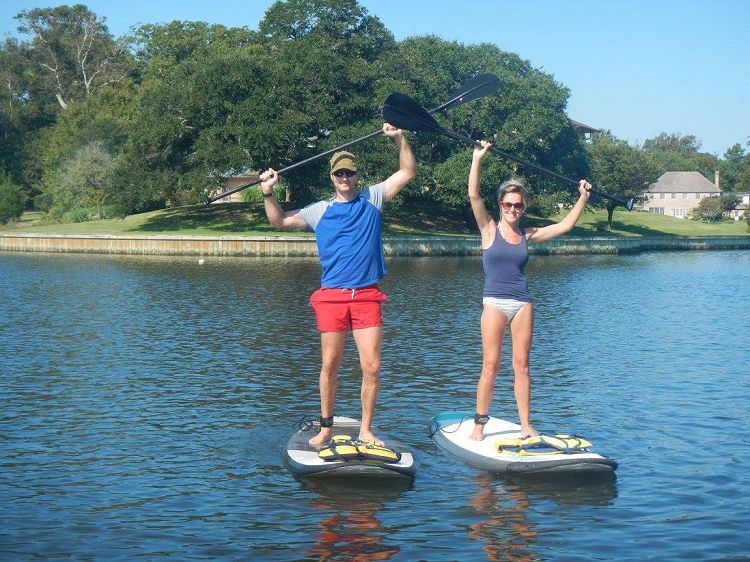 Beach Eco Tours is the city’s first stand up paddleboard company, offering tours, lessons, rentals and sales. They also give wave-riding lessons and can take you on dolphin and moonlight tours. Shaka’s Live is Virginia Beach’s premier oceanfront venue. Besides a mellow beach vibe (shorts and flip flops are totally acceptable), there are pool tables, a quick bar that serves up tasty drinks, live music and a lively dance floor all inside a spacious venue. Shaka’s always has great talent that puts on great shows every week, featuring local and touring acts from various genres. 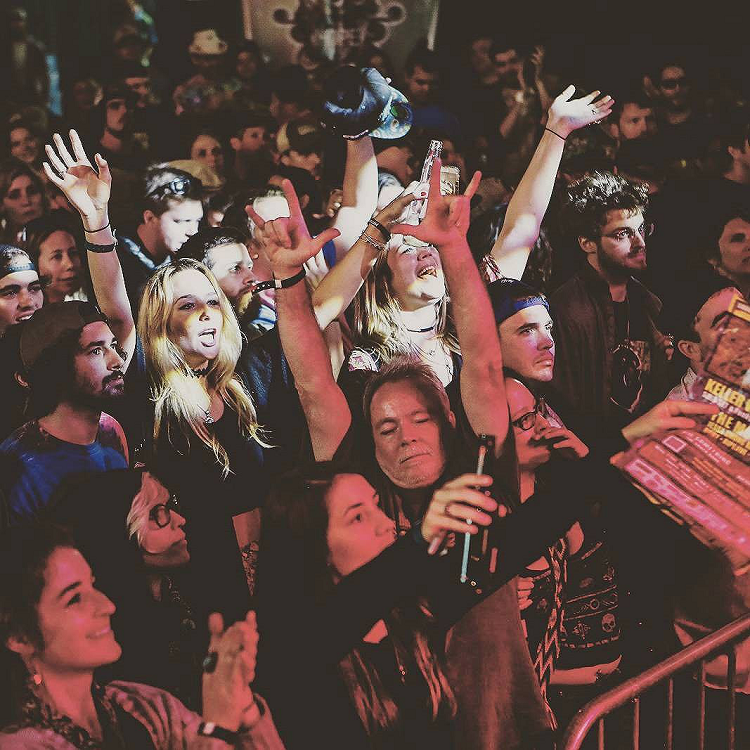 The live music show is an all-ages show, but once the show is over, the venue becomes a 21 and older nightclub. There are two reasons locals and tourists alike love this eatery—low prices and farm-fresh produce. And as a bonus, this local joint was featured on Diners, Drive-Ins and Dives. 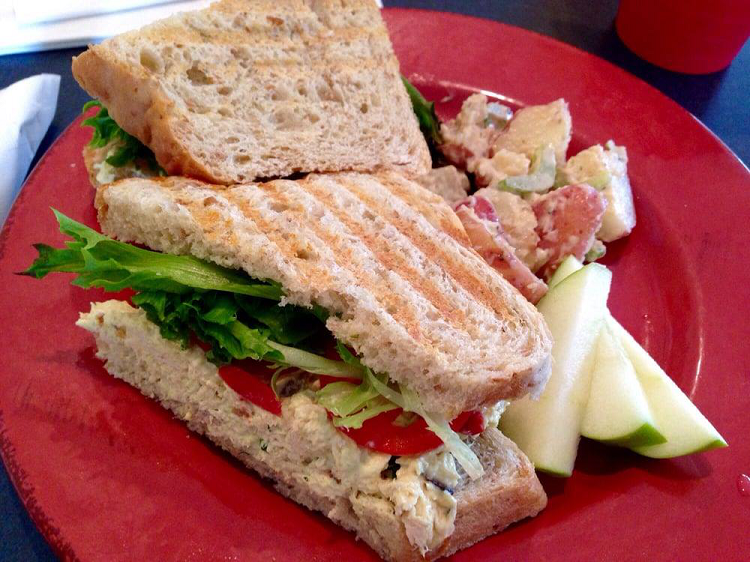 Guy Fieri couldn’t get enough of the gourmet Panini-style chicken salad sandwich that’s made on homemade bread with fresh tomatoes, greens and curry yogurt. Other palate pleasers include their quinoa salad and fresh tuna salad. For fast, casual dining of delicious organic foods for lunch or dinner and amazing service, Leaping Lizard Café is where to go. We’ve told you where to play and where to eat; now it’s time to get your shop on. For all things beach-related, from guys’ sunglasses to ladies’ tees and other surfing and skater gear, Coastal Edge is the shop to visit. 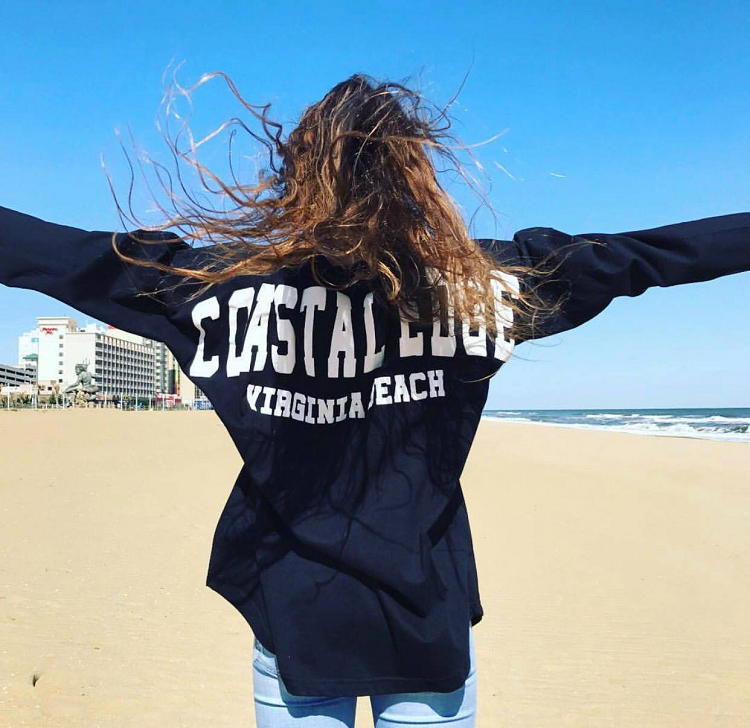 Whether you need a long-sleeved shirt to keep you warm on those cool beach nights or a new hat to keep your wet, messy ocean hair covered, come check out Coastal Edge’s array of clothing, accessories and gear in one of their six locations in the Virginia Beach area. Be sure to check out the Holiday Inn Hotel in Virginia Beach during your visit as well. 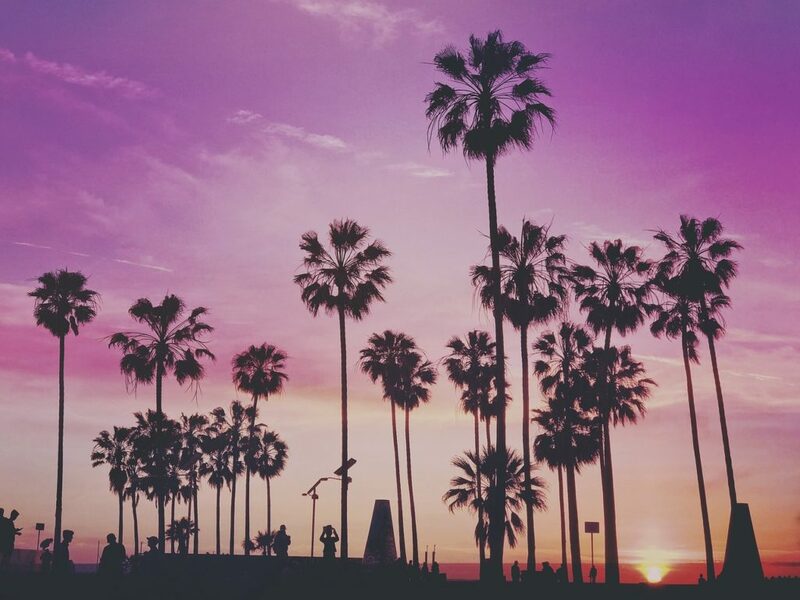 Half the fun of a trip to Los Angeles is taking the perfect photos for Instagram. It’s more than just a matter of standing on a street corner or pointing at a star on the Hollywood Walk of Fame. Your Instagram photos need that something extra so that you can show your friends and family details of all the fun you’re having in LA. The Los Angeles County Museum of Art has lots of great photo spots. The outside of the museum is both architecturally stunning and colorful, with multiple sculptures and displays right outside. Snap a picture of yourself in front of one of the garden sculptures in the multi-acre park that’s adjacent to the indoor museum. Inside the museum, you can find one of the most impressive and diverse art collections in the world. Latin, Japanese and Islamic collections are just some of the many pieces that inspire at the LACMA. The only limits to selfie spots at the LACMA are the limits of your imagination. Another one of the best places for Instagram photos in Los Angeles is the Paul Smith Wall. To sum it up, it’s pink. In fact, it’s all pink. The notable wall is on Melrose Avenue in West Hollywood. Its distinct, bright pink color makes it a favorite Instagram spot for locals and tourists alike. Think of a fun pose or even do a handstand to make this selfie sizzle. 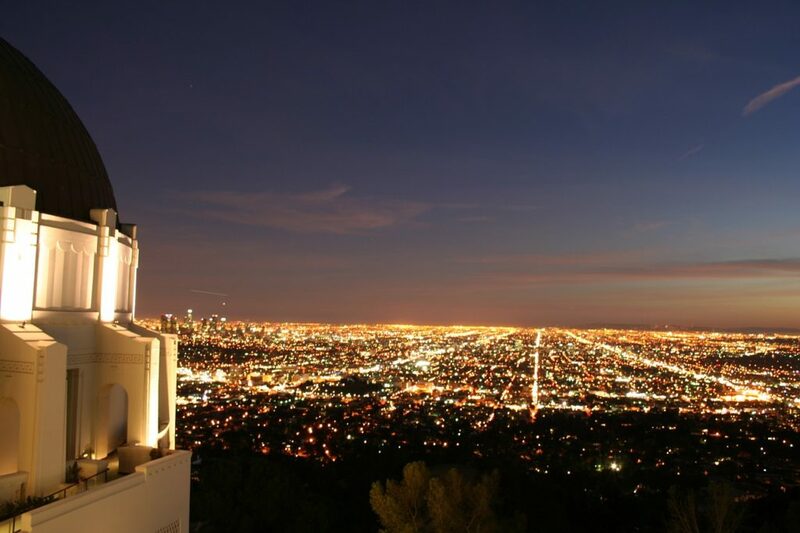 At Griffith Observatory you can see the city, see the stars and snap a stylish portrait. The observatory is high above the city. It’s a great spot for an aerial shot of the whole, glamorous town. The building is also a stunning spot to snap at night. Check out the building’s indoor displays and exhibits while you’re up that high above town. Take a selfie here and you might convince your family and friends that you’re actually in Italy. The Venice canals are a world away from the hustle and bustle of business as usual in Los Angeles. While you take a leisurely stroll you can stop as you cross one of the archways or admire the unique architecture of buildings in the area. You can reach the Venice Canals Walkway by public bus, so it’s a convenient spot for travelers. Washington Boulevard and Pacific Avenue is a great place to start your visit to the area. It might have been done before, but it’s never overdone. The best place to take an Instagram that says Los Angeles is, of course, none other than the Hollywood Sign. Your smile in front of the Hollywood Sign sums up your stay in Los Angeles whether you stay for a day, a decade or a lifetime. When you’re on a mission to take a selfie in front of the Hollywood Sign, you want to make sure that you head to the perfect spot. Canyon Lake Drive is a good option if you have a car. That lets you get as close as possible to the sign in a vehicle. Beachwood Canyon Drive gives you a nice clear shot from directly in front of the sign. The Highland Shopping Complex is a bit farther away but it’s also a good place to get a clear view of the Hollywood Sign. So grab your friends, smile and take that perfect Instagram photo. With so many great places to take Instagram pics in sunny Los Angeles, your only problem is choosing which pic to post first. You might even get to snap a selfie with a celebrity. Getting there – Getting to LA from London takes 11 hours 15 minutes. If you don’t want to feel cramped and uncomfortable for that long, business class is definitely the way to go. Obviously business class to Los Angeles can be rather pricey, but travel experts like SkyClub.com can get killer deals on premium seats. Getting around LA – In order to snap these photos it’s best to get around by car. Either order an Uber Pool (a super cheap and easy way to get around LA) or rent a car from the airport and download Waze to help you get around. 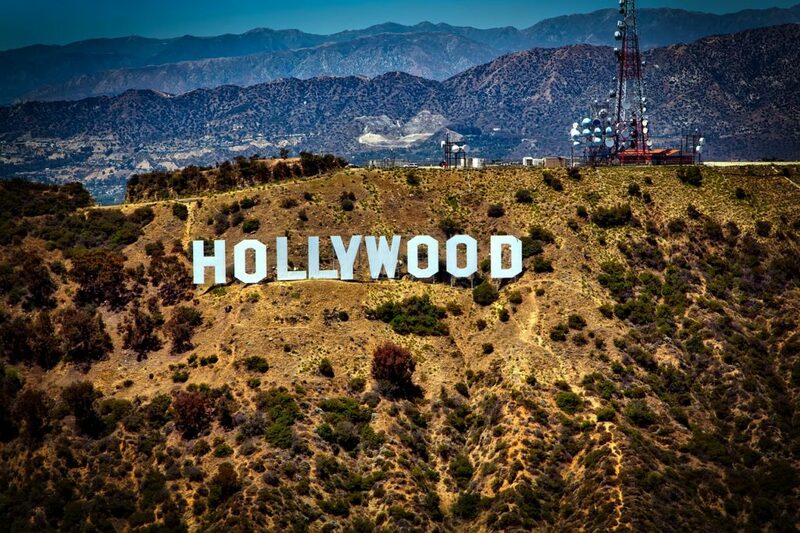 Where to stay – If you want to be conveniently located for all the sights and nightlife we’d recommend West Hollywood. Try the Mondrian, which puts on an epic pool party in its Sky Bar on the weekends. Europe has long been one of the world’s most popular destinations, with travelers all over the world coveting the chance to explore its many magical and diverse cities. From the luxury resorts on the south coast, the romantic streets of Paris or the beautiful Christmas markets of Austria and Germany, there are so many classic sights to see. However, this also means that many of Europe’s most hidden gems are often overlooked. The following cities would never appear on a ‘Best of Europe’ list, but they’re each spectacular destinations that do not deserve being overlooked. Awash with culture and history, a simple walk around the streets of St. Petersburg will show you why it’s such an incredible place to visit. The Baroque and neoclassical architecture is a spectacle for the eyes, and many of its most prolific buildings are as beautiful as they are fascinating. The city houses some of the most classic Russian experiences, including the Alexandrinksy theatre, where you can enjoy authentic ballets and haunting operas. 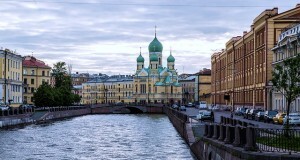 There are also a plethora of world famous landmarks here, including the notorious Winter Palace and Palace Square. Museum lovers will also jump at the chance to witness the astounding collection of the Hermitage Museum. The tiny country of Slovenia is nestled between Italy and Croatia, and is often overlooked in favor of its more well-known neighbors. Ljubljana is a quaint and picturesque city, showcasing life in Southern Europe beautifully. Cafés stretch up the side of the Llubljanica River and the views of the old town are an alluring sight. Visitors can while away the hours in the beautiful Tivoli Park, or visit one of the city’s many museums. Ljubljana is also a great place to plan a trip to see Lake Bled. This postcard spot is arguably one of the most beautiful sights on the continent, with its azure waters and thick pined forest. The highlight of the excursion is by far the chance to row across the waters, to visit the central island, which is home to an impressive medieval castle. When most consider a holiday in Spain, they often choose places such as Barcelona, Madrid or one of the Spanish islands. However, the often-overlooked coast of Andalucia is home to what many describe as ‘the true Spain’. 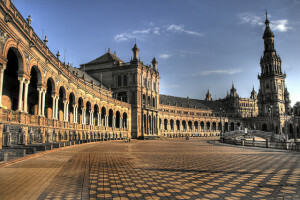 Seville is a lively and exciting city, bustling with the energy and fiery passions of the Spanish people. Highlights include the nightly flamenco performances, which give you taste of the traditional culture, and the many tapas restaurants whose atmosphere continues into the early hours. The Alcazar Palace is a beautiful and fascinating landmark, which documents the many invasions of Spain in its intricate and luxurious design. Ireland is slowly moving its way up in terms of popularity for travelers. However, its sleepy west coast still offers an authentic and secluded retreat for those wanting to see all it has to offer. The county of Kerry is at the South-West tip and offers many wondrous sights. Alongside its luscious green countryside, this wild Atlantic coastline boasts cliffs and rock formations that will astound you. The ring of Kerry is a beautiful and scenic route that circles around all of the areas greatest attractions, and is becoming increasingly popular with tourists. You can also witness Ireland’s vast history in the hills, as there are many medieval and prehistoric remains dotted around. 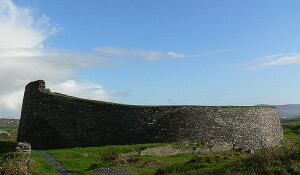 The Cahergal Stone Fort dates back to 600AD, although there is evidence of camps at Ferriter’s Cove, which are thought to be over 6,500 years old. Sometimes getting off the beaten track and exploring somewhere new provides the best travel experience there is. So what are you waiting for? Add these overlooked spots to your travel bucket list today! Guest post Sponsored by the Corinthia Hotels.